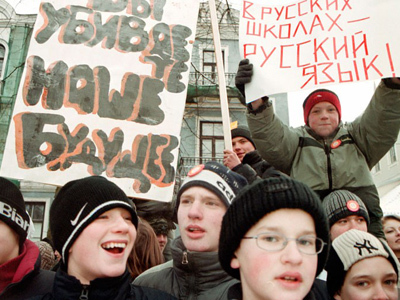 A campaign for a referendum on the Russian language is unfolding in Latvia, despite the government’s warnings that it will “worsen the split” in society. ­The status of Russian as the second state language is dangerous for Latvia, the country’s Cultural Minister Sarmite Elerte said on Wednesday. She explained her position by “the split in the bilingual society,” which is stressful for ethnic Latvians, Russians and minorities. Ethnic Russians make up about 30 percent of the Latvia’s population and more than 40 percent in the capital, Riga. The aim of the campaign launched on March 7 is to give the Russian language the status of a second official language. The referendum will be called if the required 10,000 signatures are collected. The campaigners have already managed to collect a thousand signatures. The campaigners for the referendum on the Russian language followed the example of the opposition “For Fatherland and Freedom” party. Its members had collected signatures in support of switching over to Latvian at Russian-speaking schools financed by the state. 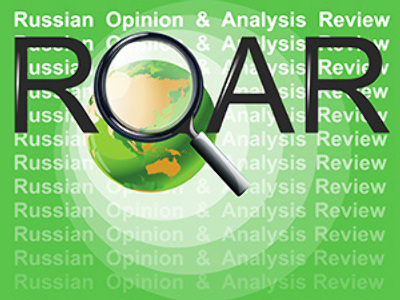 Elerte told journalists she considered ethnic Russians the national minority in the country. The minister cited the Convention for the Protection of National Minorities to support her views. Minorities are ethnic groups who have lived in Latvia for generations and regard themselves as Latvian nationals Itar-Tass quoted her as saying. 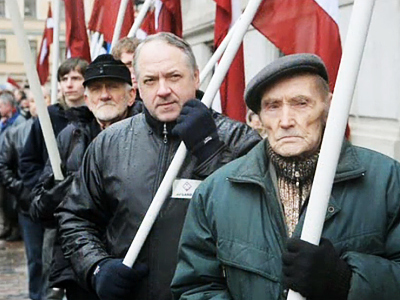 The state language is the most important problem that divides ethnic Latvians, Russians and national minorities since Latvia became independent in 1991. 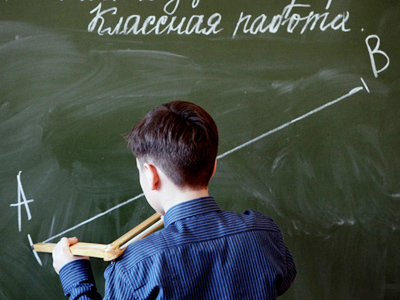 As many ethnic Russians study Latvian and use it in everyday life, they resist attempts to undermine the position of the Russian language in the areas of education and mass media. In July 2010 the Latvian parliament overwhelmingly voted for amendments to limit broadcasting in Russian and languages of minorities. Now all national and regional stations are obliged to broadcast in the Latvian language 65 percent of their air time. During prime time, at least 40 percent of programs should be broadcast in Latvian. The Russian Foreign Ministry described this policy of the Latvian authorities as discrimination against the Russian-speaking population and a restriction on freedom of speech.